Saranac Lake, NY (December 22, 2018) – Around 8 p.m. on Thursday, a rollover accident took place in Saranac Lake that led to injuries in the multiple passengers involved. One adult and four children were hospitalized. 35-year-old Constance Hoehn had been driving an SUV on State Route 3 when the vehicle was involved in an accident due to icy conditions. Hoehn’s vehicle went through the guardrail on the side of the road, causing it to roll over multiple times before it struck a tree about 12 feet down the embankment. Hoehn and all four children, a 10-year-old, 8-year-old, and two 5-year-olds were taken to the hospital but expected to be okay. We would like to first extend our sincere sympathies to those involved in this horrific accident. Accidents happen every day across New York due to weather conditions, speeding, intoxicated driving, distractions, and more. Rollover accidents are at the top of the list for some of the deadliest accidents that take place on our roads every year. If you have fallen victim to another party’s neglect and an accident stemmed from it, our experienced car accident attorneys at Hach & Rose are willing to listen to you and stand by your side during these difficult times. 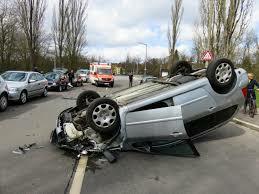 We have fully devoted ourselves to helping those that have been injured in serious and life-changing accidents. If you have been hurt and you are unsure of where to turn, we want you to know that we are here for you. Contact us today for more information at 212-779-0057.